Purchasing a house is a wonderful experience. However, buying real estate property requires documents and paperwork that will finalize the deal between a buyer, an agent, and a seller, and will outline specific terms and conditions needed to close the sale. 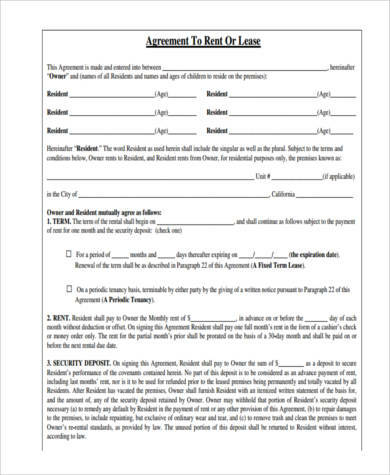 A Real Estate Contract or a House Contract is also needed in the negotiation of the purchase of a house or a residential space. 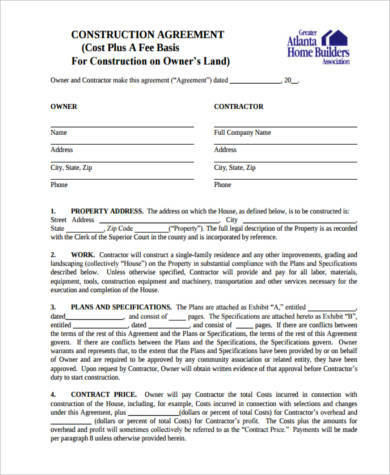 The Contract Forms we offer provide flexibility among users as we have a wide array of options, from Renters Contract Forms to Purchase Contract Forms. 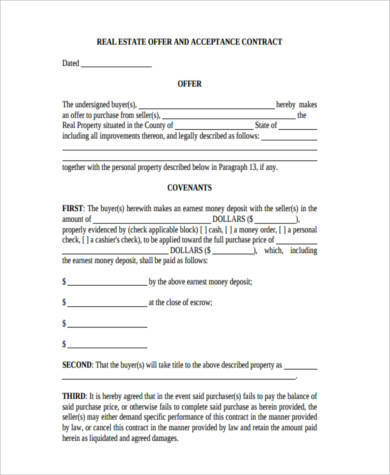 Real Estate Contracts or House Purchase Contracts are contracts between parties for the sale, exchange, or other conveyance of real estate property. 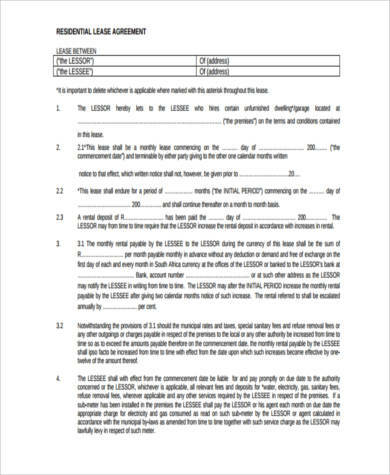 The details of a House Purchase Contract will typically rely on the terms set by the state and have to be written in order to be enforced. House Contracts are legally binding and must therefore be carefully and properly constructed. Below is a list of the basic aspects that needs to be indicated in the contract. 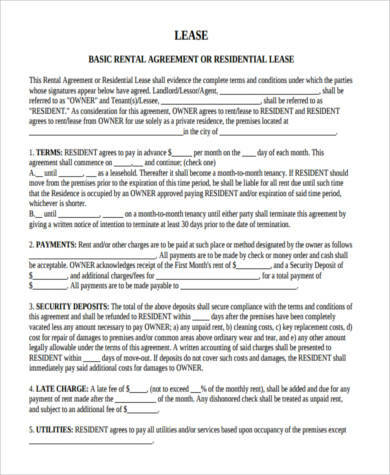 Your Real Estate Contract should indicate the names of all the parties involved in the negotiation regardless if it is a corporate entity or a Limited Liability Company (LLC). Typically, people involved in the sale of a real estate property are the buyer, the seller, an agent, or an attorney. 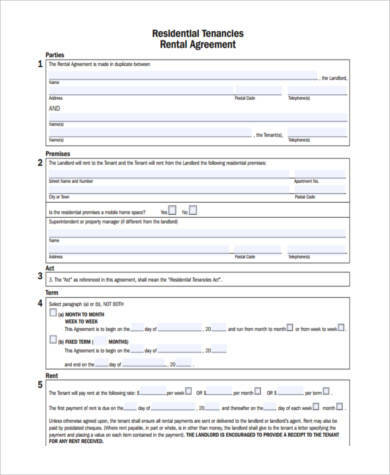 Dates involved in the agreement should also be indicated in the contract, such as its expiration date and its start date. 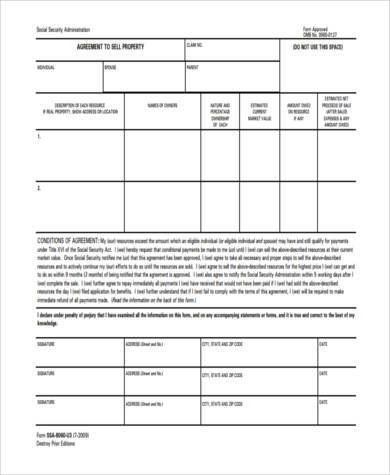 Your Real Estate Contract should indicate a legal description of the property, which is typically provided by a licensed surveyor who is trained and authorized to locate and determine the legal description of any property. 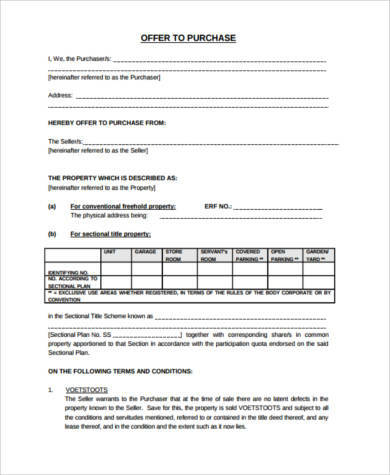 A House Purchase Contract must also indicate the offering price of the buyer and the terms for which payment must be given, including date or schedules of payment. A seller assist is when a seller and a buyer have agreed that the seller will cover a portion of or all closing costs. Closing costs are expenses that are over and above the price of the property such as origination fees and private mortgage insurance. A home inspection contingency allows a buyer to freely walk away from a deal if the results of a home inspection deems expensive results. Other key clauses may also be further added into the contract that entail to the purchase of a real estate property such as title requirements, warranties, and escrow. All parties involved in the purchase deal have to willfully affix their signature as a demonstration of acceptance to the terms and conditions stated in the contract. Terminating a Home Purchase Contract is possible if the offer has not yet been accepted. 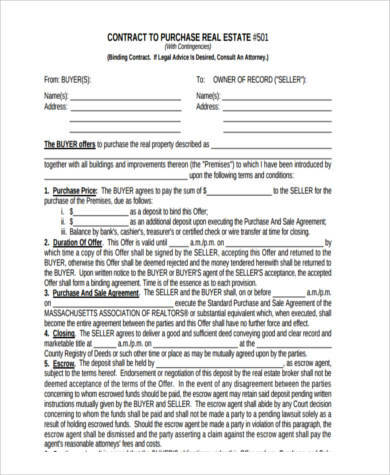 A buyer or a seller may issue a document that formalizes the withdrawal of the offer. However, things can get a little tricky when the offer has already been accepted by the seller or if no other offers for the property has been made.